As people who take the ideals of organic lawn care seriously, we all know that the real trick in having a beautiful, hassle free and organic lawn – lay in preventing any problems from occurring in the first place. Organic lawn care or not, this should be the ideal for every lawn owner, and it’s these same principle that are repeated throughout all the pages of this lawn care website. A healthy lawn will naturally prevent and out-compete weeds. By understanding the basic principles of good lawn care, we can reduce our lawn maintenance in time and money while simultaneously having a beautiful lawn. Grasses which have a dense sward and thatch layer will naturally stop weeds from ever taking a foothold in the turf. Zoysia is known for this exact characteristic, Buffalo is also good at out-competing weeds. Other grasses such as Couch are often heavily prone to thinning-out easily and thus allowing weeds to grow. 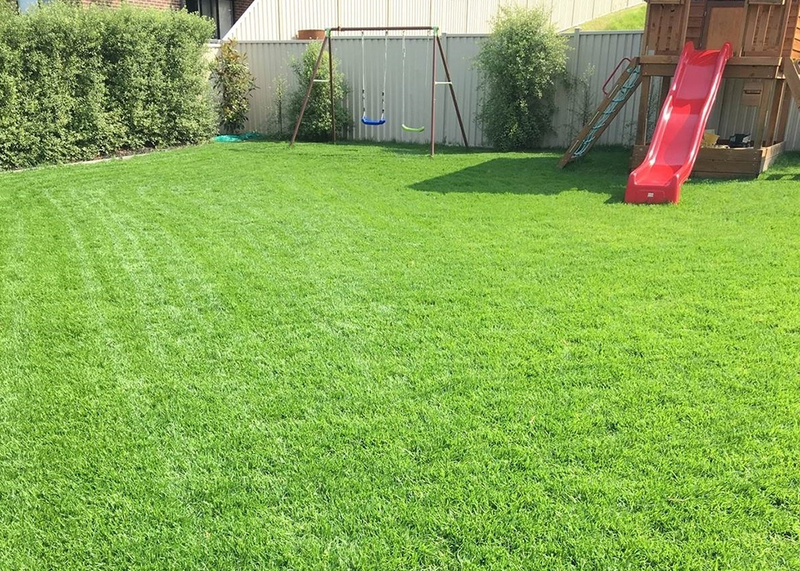 Do some research on your next grass type carefully and have a look at the Quick Lawn Selection Guide for a full review of your grass choices. Lawn mowing heights are important for many reasons, not only in reducing water consumption and preventing lawn diseases, but a lawn which is mown higher will also out-compete many weeds which simply cannot compete within a thick mat of green healthy lawn. Regular lawn mowing will also control many weeds by removing new weed seed heads before they have a chance to mature and disperse to create new weeds. Bare areas of lawn and garden will invite weeds to grow, and when one weed grows, it quickly spreads to new areas. So, lets fill in those bare patches and stop the source of new weed infestations. Areas of lawn which have died away due to shade should be addressed by pruning surrounding trees and shrubs to increase sunlight. If this still doesn’t work then consider planting a proven shade tolerant lawn type such as Sapphire®, Prestige® or Palmetto®.